The Gary Gilchrist Golf Academy team strongly believes understanding and developing your mental and emotional skills are essential in becoming a champion, and in fulfilling your fullest potential. Strong mental skills also can aid in accelerating your physical and technical development as an athlete. Developing a champion mindset is the difference between playing golf the best you can and playing golf at the best you are capable of. Thinking like a champion only accelerates physical and technical development. Golfers with a champion’s mindset have confidence, resilience, focus and patience. They can envision success and imagine creative solutions when faced with tricky situations. A champion’s mind not only creates goals but spends time mapping realistic plans to achieve them. They work with a purpose as the find ways to learn and enjoy every minute of the process. It takes concerted effort to achieve a champion’s mindset, on and off the course. At GGGA, we put great efforts into helping our Post-Graduate students learn how to think like a champion as they are supported throughout the process. One of our main goals is to encourage students to become their own coach, knowing how to handle obstacles thrown their way whether in golf or life. That kind of growth takes tremendous mental toughness and emotional intelligence, which most golfers and junior golfers do not inherently have. This extraordinary fortitude must be built. GGGA begins this process with the Mental Golf Workshop assessment, which helps the student and GGGA team understand each student’s personality traits and playing tendencies. With this knowledge in mind, a development plan is created for each golfer to find their “it”. This development plan is based around five mental skill sets that help students reach their fullest potential as champion golfers. The mental aspect of training is often the most difficult to see because it’s not just about hitting the ball or building physical strength. Thinking like a champion is about staying positive through adversity, being creative with solutions, and having the passion it takes to self motivate. There is a psychological element to golf and the entire staff and coaching team at GGGA operates in ways that reinforce the champion mindset. At GGGA, we believe in the “train the trainer model”, meaning all of our coaches are well versed in mental strategies that enhance performance. 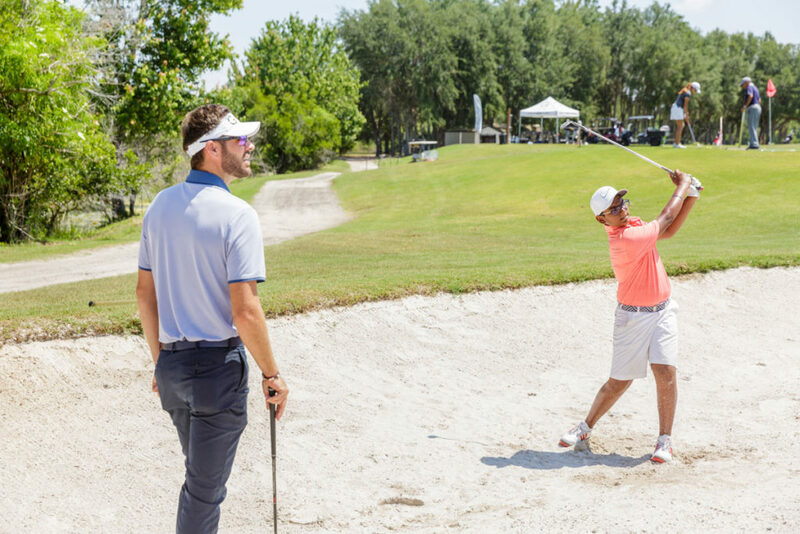 Whether being coached to visualize a successful putt during afternoon training, or reviewing performance after a recent golf tournament, our students are surrounded with opportunities to step up their own game.